Chances are, you’ve been lured into IKEA by the heavenly smell of Swedish cuisine. After all, their signature meatballs are a popular choice for Singaporeans on the prowl for affordable furniture. If you love going on IKEA meatball pilgrimages as much as we do, then cancel your weekend plans and mark your calendars. 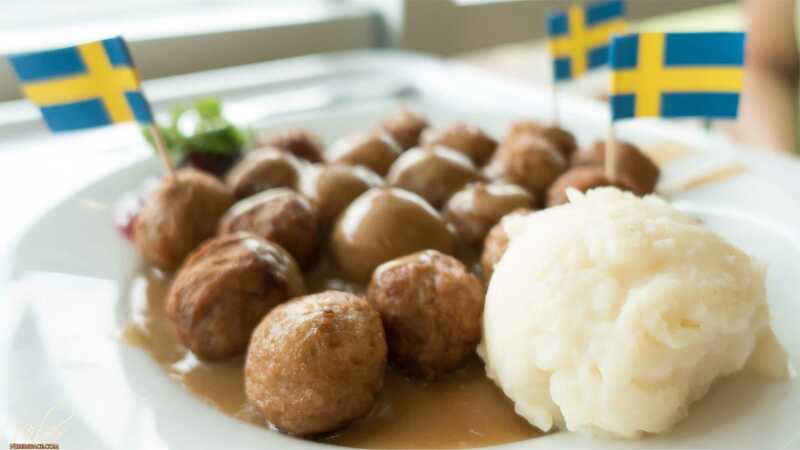 From 6 to 7 Oct, IKEA Tampines will be offering 8 pieces of Swedish meatballs at a ridiculous price of 75 cents per plate! 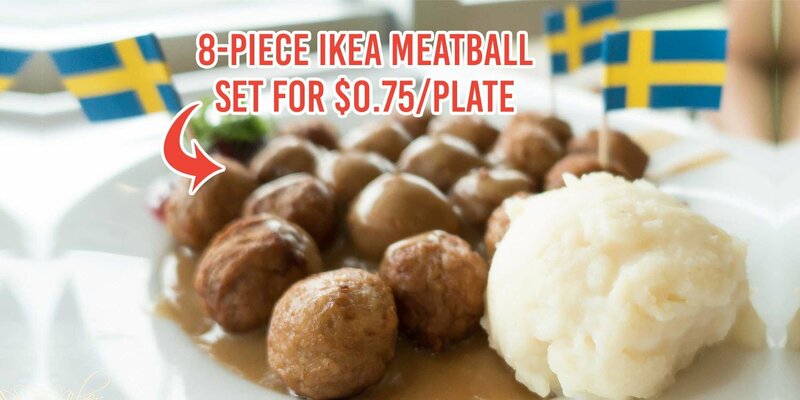 You heard that right — S$0.75 for 8 pieces of Swedish meatballs. 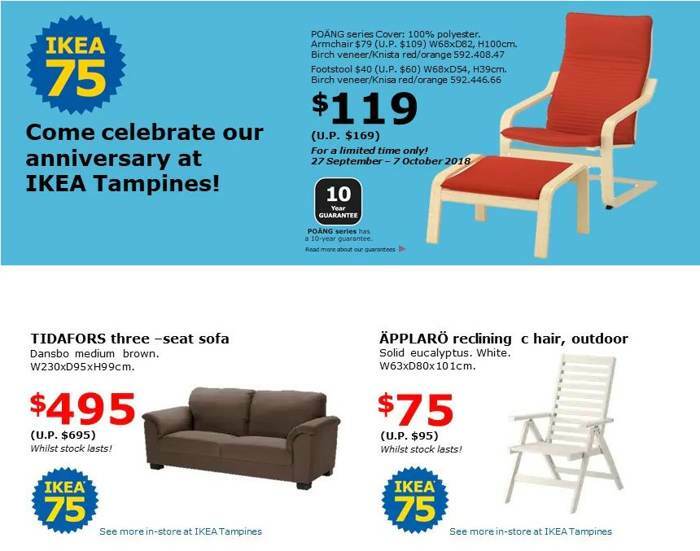 IKEA will also be blessing all of us with a ton of other great offers to commemorate their 75th anniversary. From lucky draws to massive discounts, here’s what you can expect from their 2-day only sale. What’s the catch you might ask? How can our favourite Swedish meatballs be going for so cheap? Well, you’ll have to be the first 750 dine-in IKEA FAMILY members at Tampines’ branch on both Saturday (6 Oct) and Sunday (7 Oct). You must present your IKEA FAMILY card to enjoy the offer and each card will entitle you to 1 plate of 8 meatballs for $0.75, per day. This means you could technically come back on the other day if you fancy meatballs for lunch again. We’re all know why IKEA remains the go-to place for families and students who hope to refurnish their rooms — their Scandinavian aesthetic, funny product names, D-I-Y concepts and reasonable prices. But if you thought those regular items were affordable, wait till you get a load of these deals! We’re definitely eyeing that red modular recliner chair. With a $50 discount and a 10-year guarantee, looks like it isn’t too early to start planning for that Christmas gift for a special someone. If you spend $150 during the 2-day birthday bash, you can win a free IKEA shopping spree! If you don’t win, it’s not over. For each receipt, you get an opportunity to spin their Instant Win Lucky wheel and get some amazing prizes. Want to know how to give your HDB home a minimalist makeover? Attend their IKEA’s free workshop on 7 Oct, from 11am-12.30pm for some styling tips. These awesome deals only apply to IKEA FAMILY members. But don’t worry! It’s super easy and completely free to become a member. Plus, anything for those $0.75/plate meatballs right? Simply visit any IKEA FAMILY kiosks around the store, or talk to the staff. No time? No problem! Just sign-up online now. We honestly don’t know what we love more from IKEA’s Food Hall — cheap hotdogs, soft serve or chicken wings. But we’d do anything for a plate of those cheap meatballs. As IKEA opens at 10am, we advise you to go a little earlier to join the crazy queues.